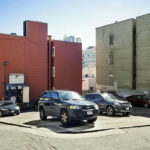 The formal application to level the two-story garage at 550 O’Farrell Street, out of which Hertz Rent a Car has been operating, has been submitted to the City for review. 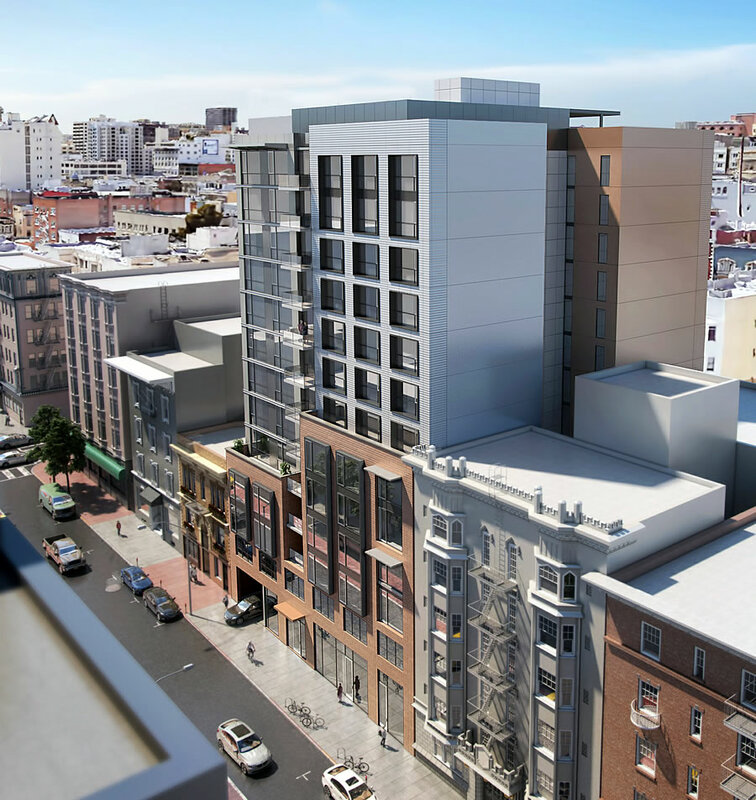 And as proposed, a 13-story building designed by Brick for Prabhas Kejriwal’s Sandhill O’Farrell LLC will rise up to 130 feet in height upon the Tenderloin site, with 115 apartments over a new garage for 21 cars. 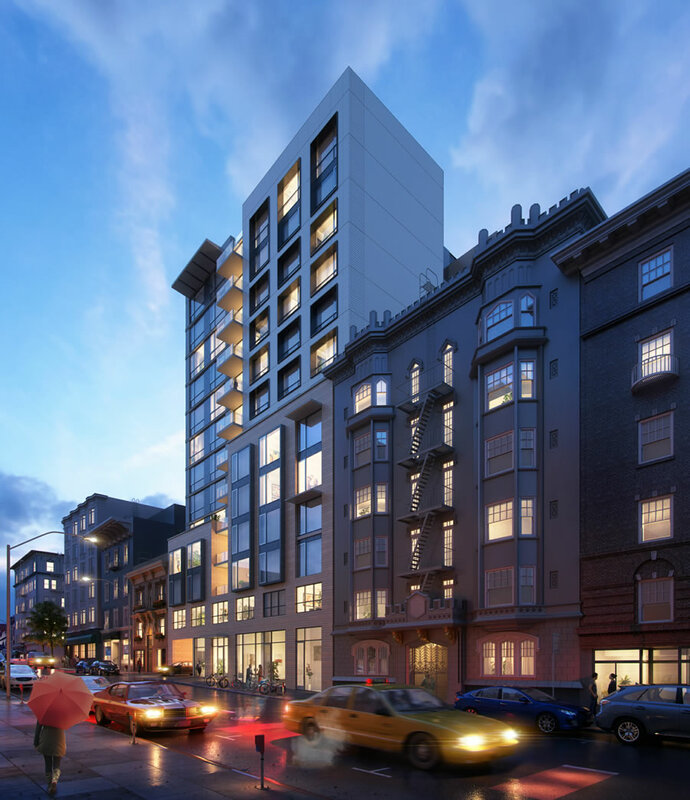 The apartments have been designed as a mix of studios and one-bedrooms averaging under 600 square feet apiece, with 29 of the units being rented at below market rates, a roof deck for residents and a 1,400-square-foot retail space fronting O’Farrell Street. 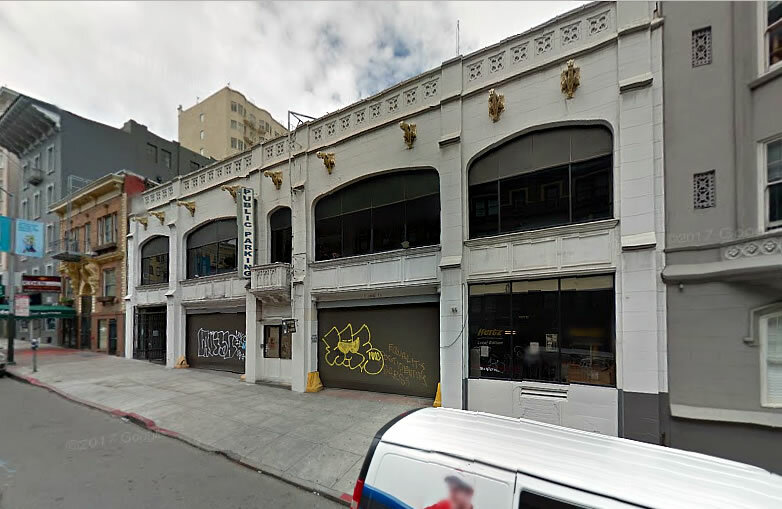 Constructed in 1924, the existing garage on the site has been identified as a contributor to the Uptown Tenderloin Historic District, which could pose a problem for the building as proposed. And there are some garage related hazardous materials and fuel tanks on-site which are being addressed. Looking to Build Up in North Beach? Normally I’m not a fan of new buildings behind vestigial old facades but in this case it looks like they recreated the same facade and openings in the most mundane way. Repurposing the original could also help direct some hiarchy toward the rest of the building. Agreed. In this case the original façade would tie in nicely with the rest of the building and offer some visual appeal at the street level. I don’t see it posing a problem. except that they’d probably have to set back the whole building behind the garage facade to differentiate it, and lose all that floor space in the tower. Don’t believe I see in the sketch any part of the old facade….it’s gone. Excellent vision for cleaning up this area. Perhaps one day I will actually want to walk around the Tenderloin instead of going to and from the Civic Center garage to the Courthouse in an Olympic sprinter’s speed. Takes more than a new building to clean up the neighborhood. Instead of turning a blind eye to the problem city leaders need to come up with a real solution to address the homeless and drug problems plaguing the city. At the same time, “city leaders” can wave their magic wands and solve the transportation problems facing the City? And I, myself, want a Telegraph Hill View Condo and a magic flying pony to avoid both the homeless and traffic problems! I too would like a magic flying pony. But given that Uber says that it is still a couple of years off, I’ll settle for the 9th gold painted gargoyles to serve as decorations for my shopping cart / part time pedicab…. The existing building is a beauty and should be preserved. The only reason why that’s not in the plans is because the builders are cheap. Period. Uh, those buildings are occupied by tenants…I don’t think they should be knocking down places where people live to build higher more expensive residences….horrible. Only natural disaster will take the neighboring buildings down. Will never be demolished to “build up”. That’s the way it is and should be. Why do you think there are no windows on the side of the building? This thing is directly — DIRECTLY — outside my apartment window. I live in back of the apartment building next door and I work at home. If this thing gets approved, the noise level will be a living hell for me for years to come!!!!! Go away! So sorry your entitlement will be inconvenienced while the neighborhood improves. I like the clean, modern design. This is a major artery into downtown from the west and this block of O’Farrell could definitely benefit it. I wouldn’t hold my breath though, just a block up on Geary, we are still waiting for 651 Geary to start construction. The facade of the garage adds nothing to the block and can be torn down with no negative impact. This project will greatly improve the 500 block of OFarrell, though the parking garage was convenient for visiting friends (I live on the 600 block of OFarrell). The “historic designation” for the existing garage is a joke and I hope they build this and build it soon. Historic building. Should be protected. 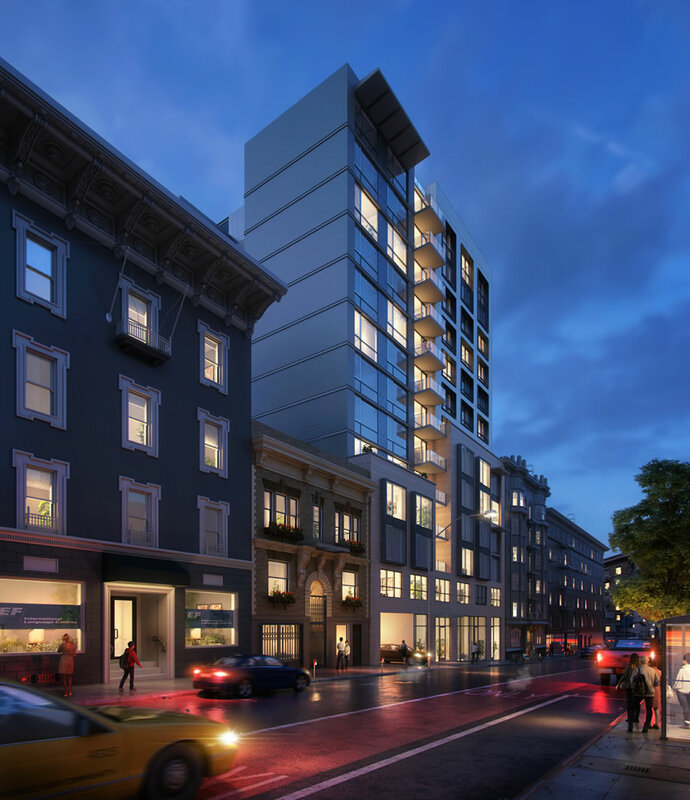 Wonder if there will ever be an ‘Upper Tenderloin Mid-rise Pastiche of Multiple Bland Facades’ historic district.